This Maine permit practice test, with multiple choice questions, is intended to help you prepare for the Maine written knowledge test that is required before you can get your driver’s license. Passing the Maine permit practice test is as easy as 1 2 3 using our online interactive driving practice tests with high quality images. Study for this driver’s license practice test is completely free. Any resident of the State who wishes to operate a motor vehicle in Maine needs a Maine driver’s license. To obtain a permit in Maine you must be at least 15 years of age. The first license issued to a new applicant under 21 years of age is provisional for a period of two years and one year for persons at least 21 years old. The written test measures your understanding and knowledge of traffic laws, regulations, driving skills and vehicle handling, as well as your ability to identify and understand highway signs. Are You Ready to Drive? Find Out With the Maine Permit Practice Test! 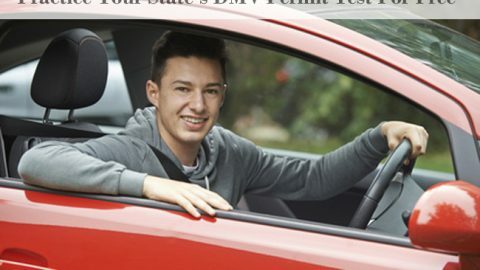 If you’re 15 years old and living in Maine, you’re probably itching to drive. No more waiting for the school bus! No more having to depend on your parents to get where you and your friends want – and need – to go! But staring you in the face to overcome this obstacle is one thing: the DMV test required to finally get that permit. And you just hate tests. For some reason, they make you block out everything that you’ve learned, as you stare at the screen trying to figure out the question you know you can answer. Don’t let it get to that point. Practicing for the DMV test in Maine requires more than just knowing the answers – ideally, you should know exactly what you expect, even down to the kinds of questions you will be asked and the type of test you will be facing. That’s where our Maine Permit Practice Test comes in. We offer no less than seven tests, uniquely adjusted to Maine traffic laws, that allow you to get a perfect feel for what to expect once you enter the DMV on your big day. Two of our tests are focused just on road signs, so that you can be sure that none of those signs is confusing – either on the test or once you’re driving. Because that’s our goal: not just teaching you how to safely operate your vehicle, but to give you the best possible online training so that you can become a smart and skillful drivers in this highly motorized age. And if those tests still leave you confused and ready to panic, don’t! Simply contact us, and we’ll help you prepare for that dreaded test. 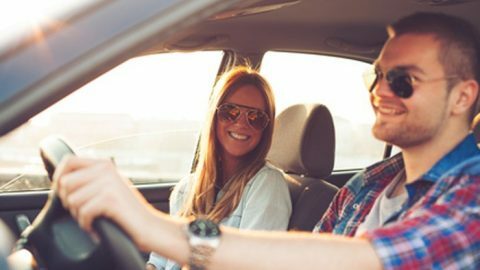 And before you know it, you’ll be on the roads, a confident and well-prepared driver.